Lady Minerva Sharpe has the perfect plan to thwart her grandmother's demands: become engaged to a rogue! Surely Gran would rather release her inheritance than see her wed a scoundrel. And who better to play the part of Minerva's would-be husband than wild barrister Giles Masters, the very inspiration for the handsome spy in the popular Gothic novels she writes? The memory of his passionate kiss on her nineteenth birthday has lingered in Minerva's imagination, though she has no intention of really falling for such a rakehell, much less marrying him. Little does she know, he really is a covert government operative. When they team up to investigate the mystery behind her parents' deaths, their fake betrothal leads to red-hot desire. Then Minerva discovers Giles's secret double life, and he must use all the cunning tricks of his trade to find his way back into her heart. This is the third book in Jeffries' Hellions of Halstead Hall series coming after The Truth About Lord Stoneville and A Hellion in Her Bed. I suppose that you could read the books independently of each other or out of order but they do have a common storyline of the mystery of the Sharpe parents deaths and I feel these books would be better being read in sequence. This was Minerva's story and as set up in the last two books, her hero is the delightful rake, Giles Masters. Both characters were well rounded and had great depth - Minerva as the strong woman and Giles as the seducer and rogue. They worked together well and I liked the chemistry between the couple. The mystery of the death of Minerva's parents is still to be solved and I assume that it will get a step closer in the next book which will be Gabe's story (the beginning of which was started in this book). I enjoyed the story in this book although I would have liked to see a little bit more interaction between Oliver and Maria and Jarret and Annabel from the previous books. It wasn't the best or most engaging book I've ever read but I enjoyed it and it really captured by attention. 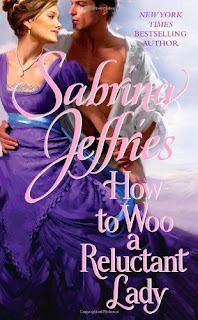 If you're looking for a fun Regency romance or are reading the Hellions series then I would recommend this book to you. 4 stars. Lieutenant Michael Thorpe is a forbidden temptation for Lady Hannah Chesterfield. Etiquette demands Hannah ignore the shivers of desire his wicked gaze provokes, but he’s the only man to recognise her restless spirit, and her unawakened body is clamouring for his touch… …to passionate princess! They are thrown together by scandal, and a defiant Hannah joins Michael on an adventure to uncover the secret of his birth – is this common soldier really a prince? If so, will the ordinary man who has taught Hannah the meaning of pleasure now make her his royal bride? 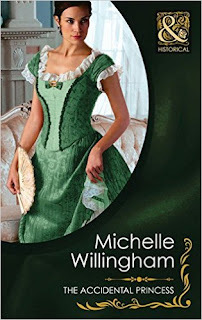 I have read a couple of Michelle Willingham's Viking novels but never any of her Victorian ones so I didn't know what to expect when I started this, especially since I've been a bit hit or miss with M&B Historicals in the past. This seems to be the second book in a series that started with The Accidental Countess and continues with An Accidental Seduction. The characters from those books only made an appearance so the book stands nicely alone. This book started a little slow but after a couple of chapters it really got going. Hannah seemed to epitomise the true Victorian girl with her morals and innocence and I loved the way she evolved throughout the book. Michael was also a good character - I love a brooding man! Together they had good, if not explosive chemistry, and interesting interactions. The plot really kept my attention and was far-fetched but not so ridiculous that you couldn't get behind it. 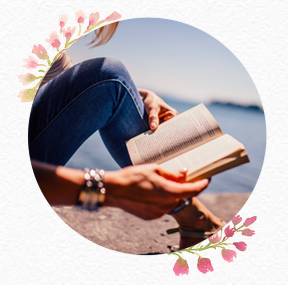 I felt it really flowed and once I got into the book I really enjoyed it. If you're looking for a page-turning historical romance with interesting characters then I don't think you'll be disappointed with this book. 4 stars.